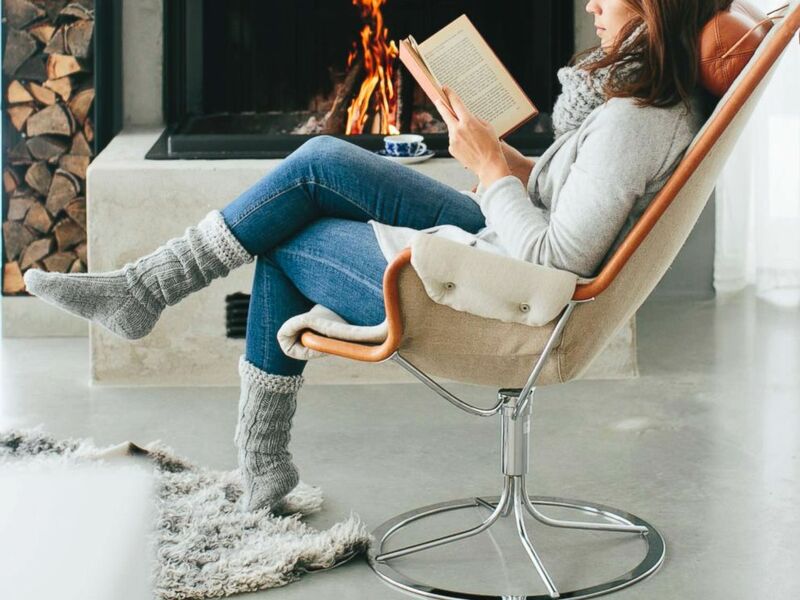 An undated stock photo of woman reading a book in front of fireplace in Sweden. If you haven’t yet heard the word Lagom dropped casually in conversations about home design, get ready. The less-is-more philosophy that has its roots in Sweden is booming in popularity in the U.S.
Niki Brantmark. 's home in Sweden features principles of the Lagom design philosophy. Posts about Lagom increased nearly 1,000 percent on Pinterest over the last year, making it one of the visual discovery engine's top home design trends for 2018. It has come to define a lifestyle that is all about balance: Not staying at the office too late or leaving too early, not partying too hard but enough to enjoy life, for example. 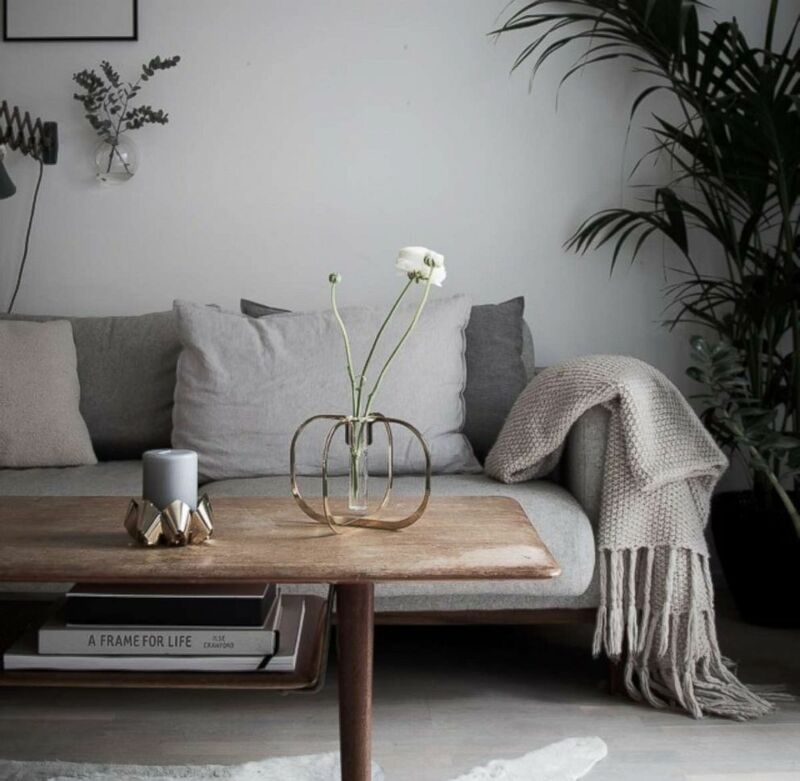 When it comes to your home, Lagom is about finding that same balance: Decluttering, but not to the point that you feel pressured to throw things away. Niki Brantmark, a mother of three who lives in Skåne, Sweden, literally wrote the book on Lagom: "Lagom: Not Too Little, Not Too Much: The Swedish Art of Living a Balanced, Happy Life." 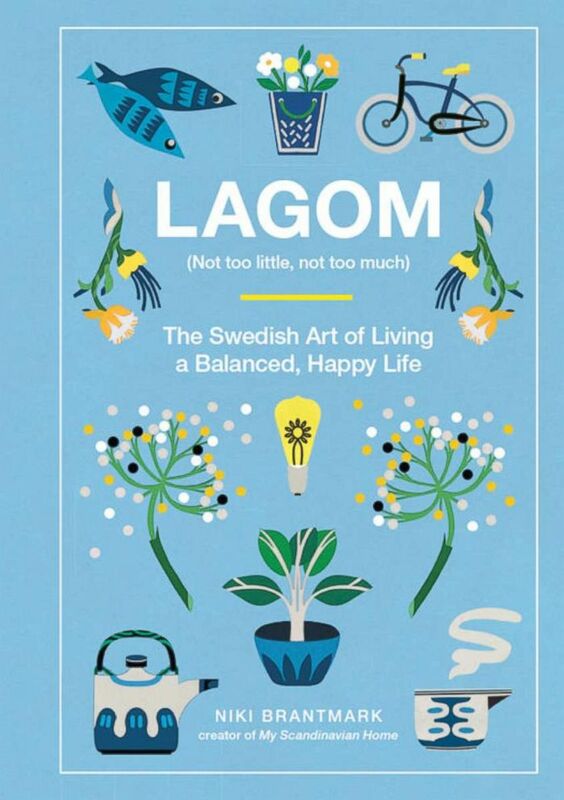 The book cover for the book "Lagom: Not Too Little, Not Too Much: The Swedish Art of Living a Balanced, Happy Life." Brantmark moved to Sweden from London 14 years ago and said she found herself amazed at the different pace of life. "In Sweden, I was walking on the street, overtaking everyone on the road," she told "GMA." "I finally realized, they just take their time." She added, "They’re in another gear. They take the time to do things right in an uncomplicated way and everything is very balanced." Brantmark also noticed that every home she visited in Sweden was more beautiful than the last. 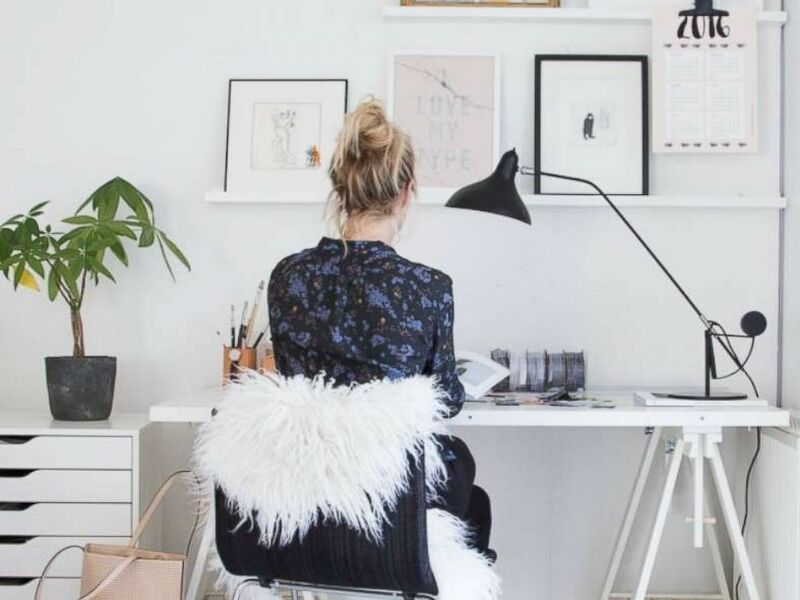 Niki Brantmark sits at her desk in her home in Sweden. "They spend a lot of time focused on creating beautiful homes," she said. "They focus on creating an oasis at home. It's one thing you can control and a safe haven just for you when you come home each day." The focus pays off, according to Brantmark. "I travel a lot and when I get back [to Sweden] it’s like, ‘Ahhhh,'" she said. "Having moved from London to here, I’ve noticed over time I’ve felt happier as a person, just calmer and happier." Ready to try Lagom in your own home? 1. Declutter: Find a balance in your home between clear and clean, but also cozy and inviting and warm. 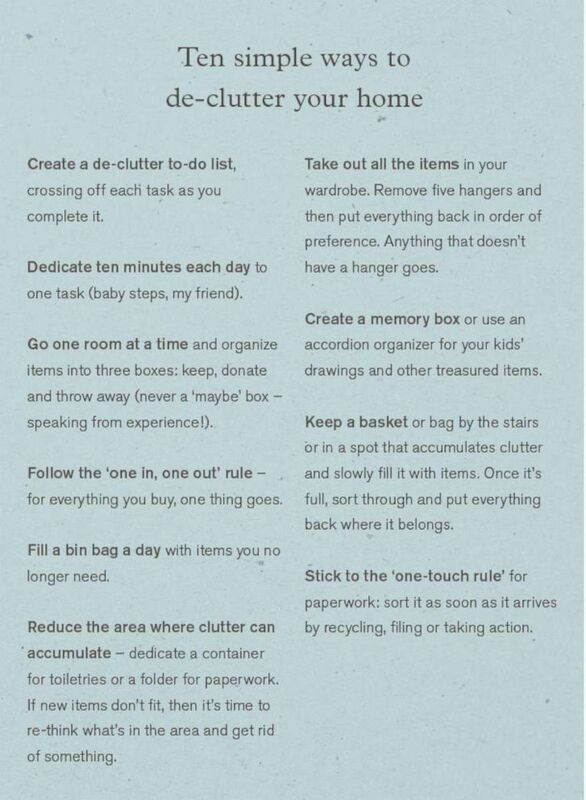 Niki Brantmark shares her tips for de-cluttering in her book, "Lagom: Not Too Little, Not Too Much: The Swedish Art of Living a Balanced, Happy Life." In Sweden, homes are very de-cluttered and everything in the home is practical, with nothing superfluous. "Having less pieces, the ones you do have stand out more," Brantmark explained. "You can see their shape more clearly. With accessories on the shelf, you can admire the beauty of each piece." 2. Bring in nature: A home should be in balance with the nature of the environment around it, according to Brantmark. PHOTO:An undated stock photo of woman reading a book in front of fireplace in Sweden. Homes by the sea may incorporate items like seashells and pebbles and the colors of the sea, while a home in a wooded area might feature pinecones and dark green colors. 3. 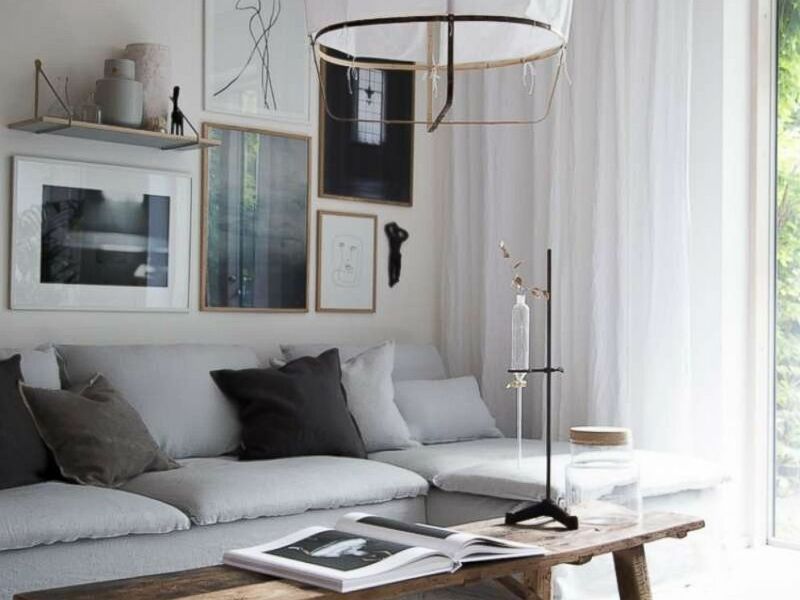 Use muted colors: Colors used in homes in Sweden are very organic and muted, from grey and white to light blue, light white or earthy tones like dark blue and dark brown. 4. Try textures: "Anything that adds texture adds architectural interest," said Brantmark. Niki Brantmark's home in Sweden demonstrates the Lagom design philosophy. 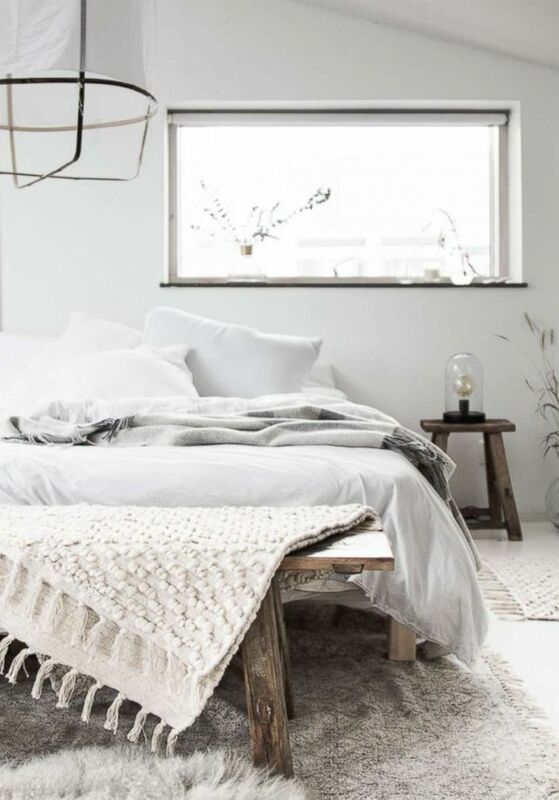 Incorporate textures like throws and rugs, and natural textures like wood, linen, cotton and concrete. 5. Incorporate plants: "If you bring plants and flowers into your home, it’s not about massive, lavish bouquets, it’s about imperfect flowers, ones you may collect outside," Brantmark said. Plants are common in homes in Sweden, but they are specifically easy to care for plants in order to "avoid the hassle of constant maintenance." 6. Pay attention to lighting: Organize your house so they can use as much natural light as possible. Homes in Sweden feature candles but not heavy curtains that would block the light. 7. Go vintage: Secondhand, vintage items are another way of making your home cozy, as they have a history to them and tell a story. A bedroom in Niki Brantmark. 's home in Sweden features principles of the Lagom design philosophy. A Lagom home would also feature new items that are of good quality so they can be passed on to future generations. 8. Keep it pristine: You won't find carpeting in Lagom-inspired homes because it is too hard to clean. "Everyone also takes off their shoes when they come in, even the youngest child," said Brantmark. "Some homes will have basket of slippers or socks to change into."